Among the telegrams we received, was one from Velid Bey, chairman of this Press Society, that referred to certain questions which are worthy of notice. I told my aide-de-camp to attend to them. (Document 144.) You will find particulars about them among the documents. 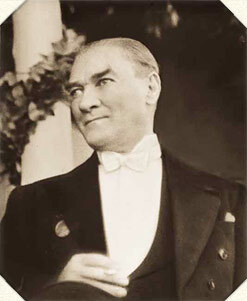 The correspondence that passed between Djemal Pasha, a member of the new Cabinet in Stambul and the delegates of the Represen tative Committee, and which was still actually going on, has prevented me from speaking before to this honourable Assembly about Damad Sherif Pasha, who was at that time Minister of the Interior. While we were trying to find a basis on which to build up an understanding with the new Cabinet, Sherif Pasha had been doing all he could for a long time to poison the spirit of the nation. At that time writers of fiction in Stambul described me as being a common mutineer and a bandit. But Damad Pasha, in his distorted mind, apparently considered us to be nothing but arrant boasters and dummy leaders. However, we soon detected the criminal intent of the Pasha and consequently became more cautious. Sherif Pasha recognised in our actions and proceedings, as well as in all that the nation had been doing to hasten the overthrow of Ferid Pasha s Cabinet, evidence of rebellion and anarchy, and he seemed to be very dejected about it. He evinced much zeal in trying to get the people to submit to the wishes of the Government and do nothing at all that would be an tagonistic to its policy. “The present Cabinet is united/ This is very true. Clearer light will be thrown on this by subsequent events. The meaning of these phrases is perfectly clear. The Government is neither on the side of the national organisations nor of the Represen tative Committee that leads them. It has no partiality for either. It expects from us exactly what it expects from the party of the “Union of the Friends of England,” the “Red Kandshars” and Nikehbandjis,” and other similar unions. This means that certain individuals have assembled at Sivas and speak in the name of the nation. They are interfering with the fate of the nation. They describe themselves as the “Representative Committee” and meddle in the affairs of the country without having any authority whatever to do so. Take no notice of them, because they are not the representatives of the nation at all.